I – When Do we Need Lun Recovery? As you all know, When you loose 3 HDD from RAID 6 , you loose all of your datas, but Qnap has and advance Read-Only Feature that enables to backup your datas. 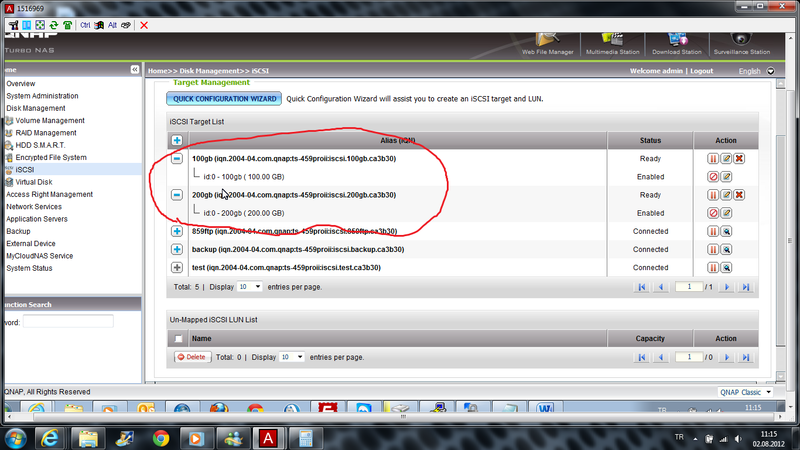 But, for ISCSI, it doesnt work. 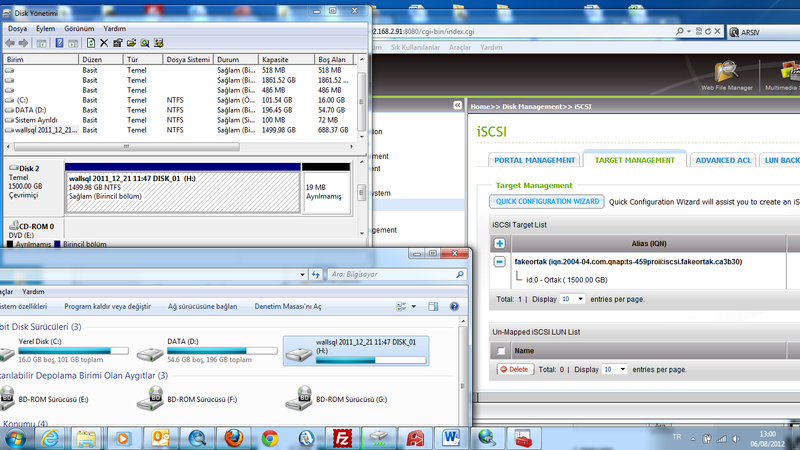 With this document, I’ll show you how to recover your ISCSI Luns. But we need 2 Qnap to recover. and even ISCSI targets& Luns seem good, ISCSI connection on windows failed, we got “no respond” error. Must warn you, Qnapsupport Taiwan could only help after copying ISCSI luns to another Qnap, and I strongly advice you contact with them after ISCSI Lun copying finished If you’r new with Qnap & linux Commands. 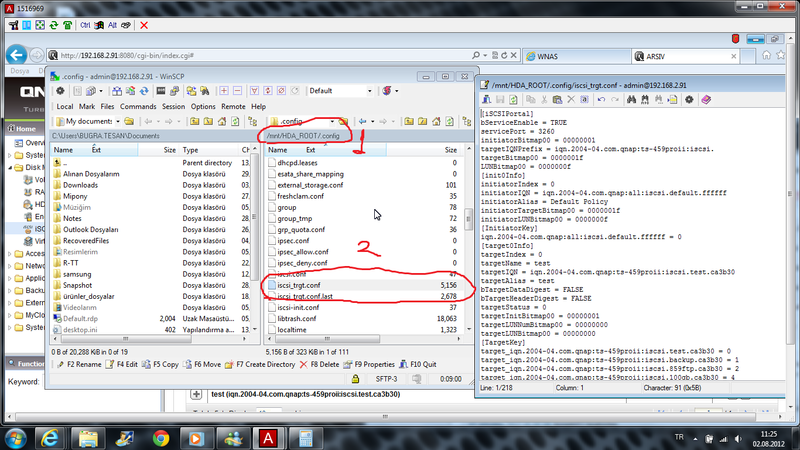 1 – First, create a new share folder on costumer device (169.254.100.100), and show path as his . 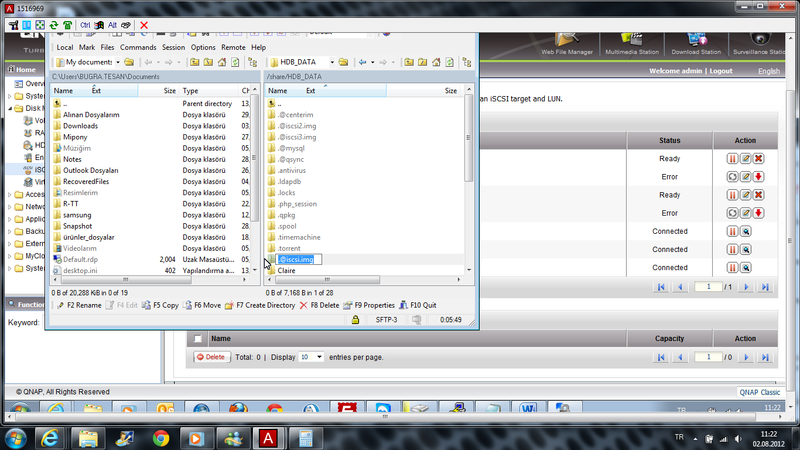 @iscsi folder. Size : 214,748,364,800 / 1024 / 1024 /1024 : 200 GB! 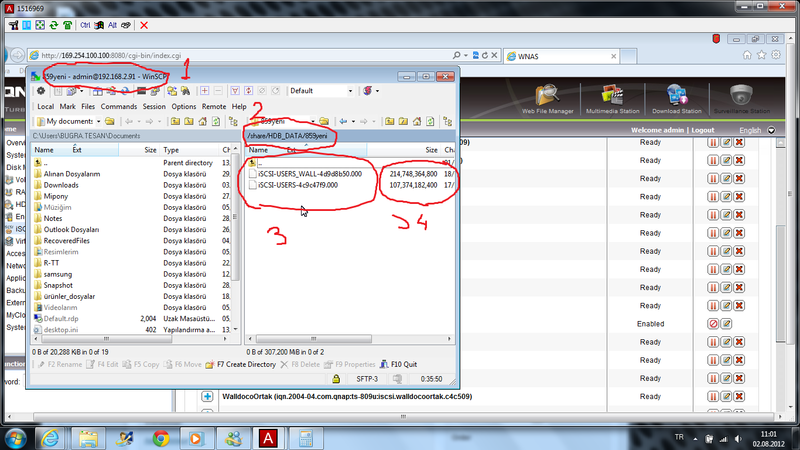 Size : 107,374,182,400 / 1024 / 1024 /1024 : 100 GB! 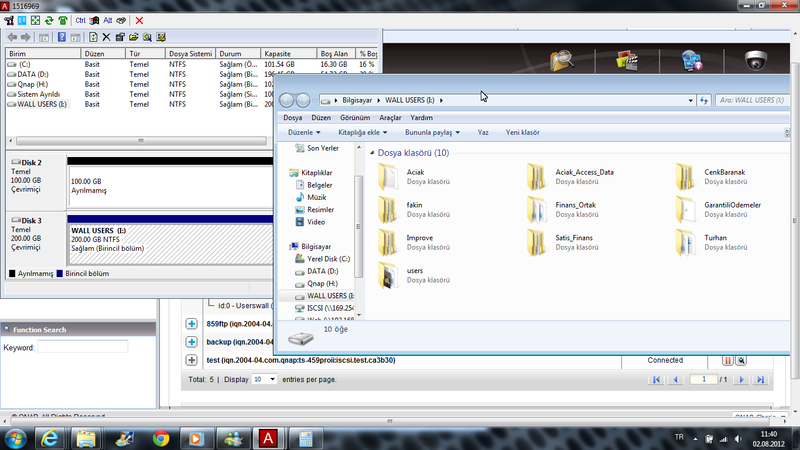 5 – Now, I’ll create 2 fake luns with “thin provision” on my 2.th HDD, and size are 200 gb and 100 gb. 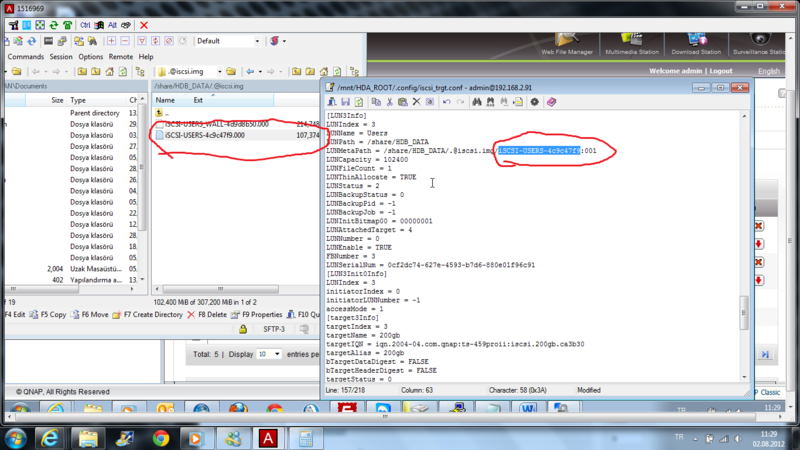 Find and double click on iscsi_trgt.conf file. 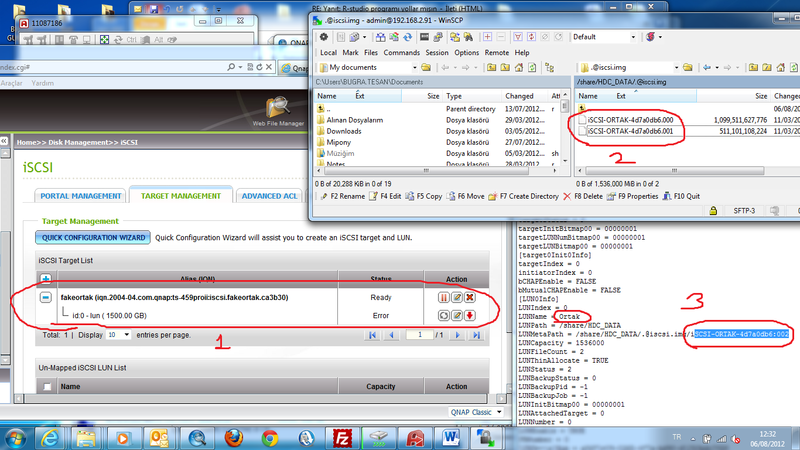 10 – Now find and change lun name “100gb”, and change LunMetapath name as your ISCSI lun. 11 – Save & exit. 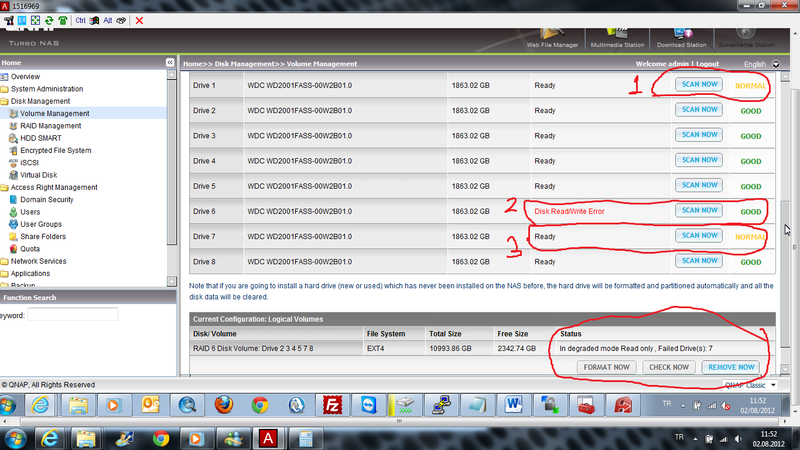 Wait, my 100 Gb ISCSI doesnt comes back, but no problem, costumer said he only need that 200 gb size lun. 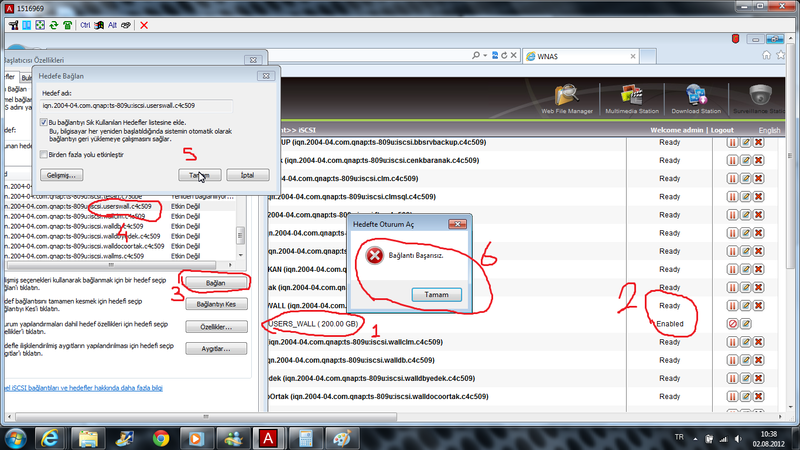 (I had one more 100 gb sized lun, probably Qnap couldnt recognize because of this. At this kind of cases, my advice is change your original . 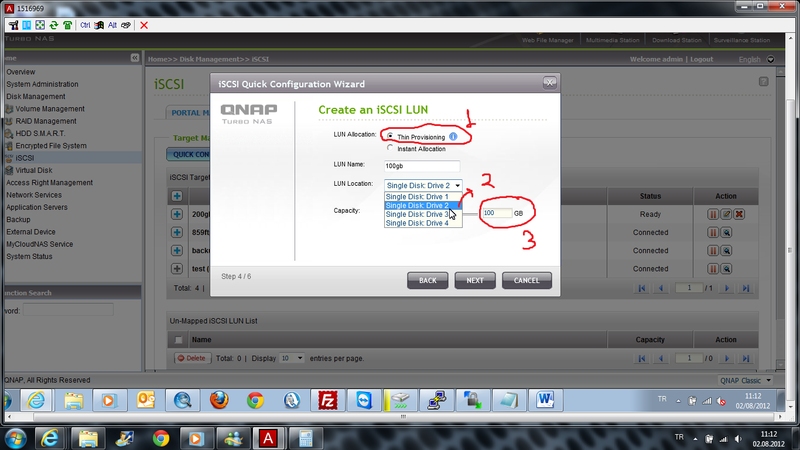 @iscsi.img name, backup your iscsi configration, then completlty remove your ISCSI lun & targets over Qnap. 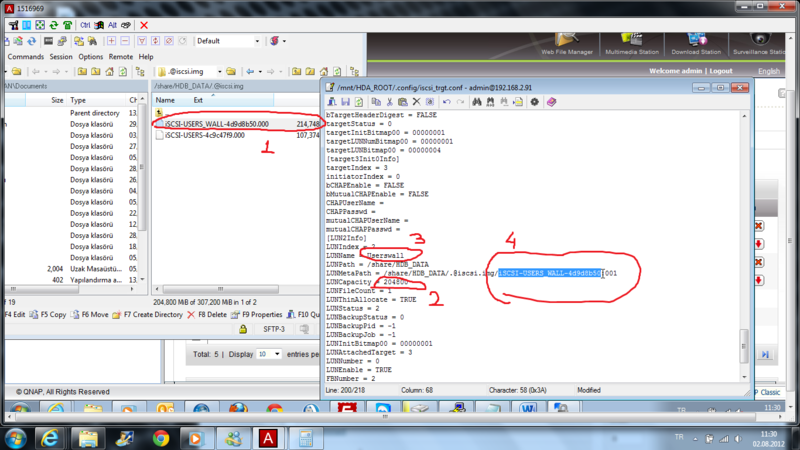 Fallow this document, and after recover datas, change everything back. 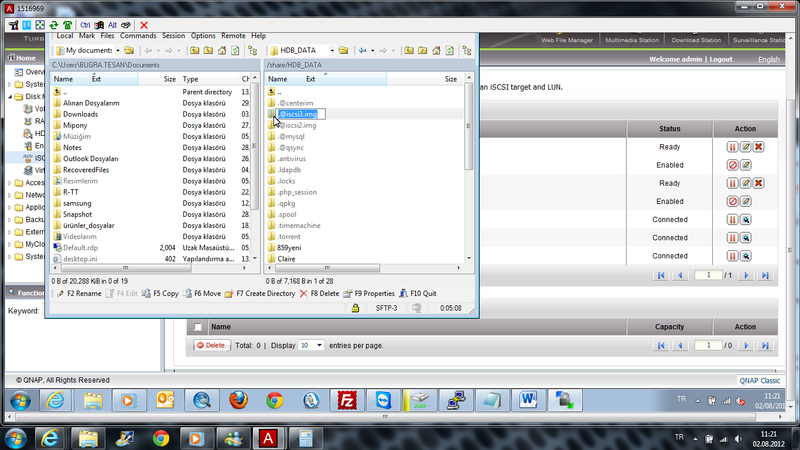 2 – Connect with wincsp, edit iscsi_trgt.conf with text editor under /etc/config. Change fake lun names (warning : not targer name) with your original Lun names. If you got trouble, just contact with Qnap support Taiwan and asked that your ISCSI luns lost, They’ll mount iscsi back again.